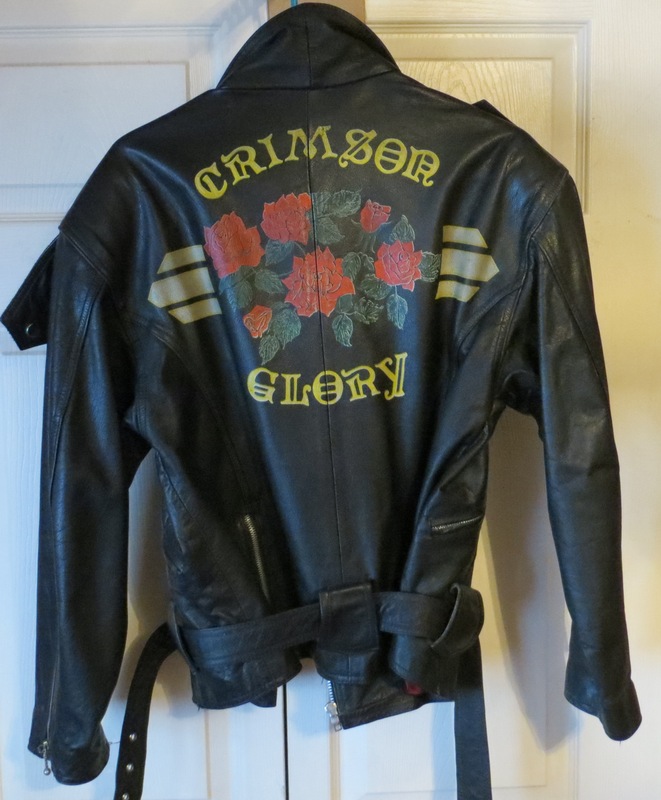 Unusual Crimson Glory leather jacket. 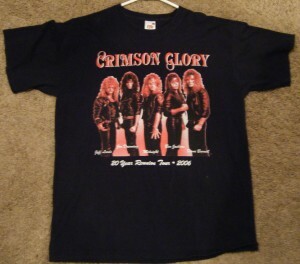 Not sure if has anything to do with the band. 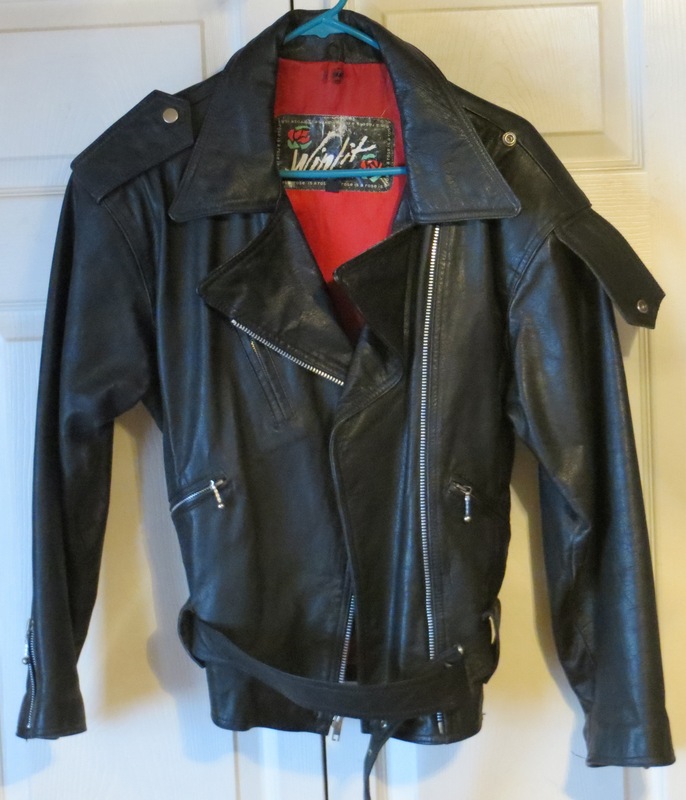 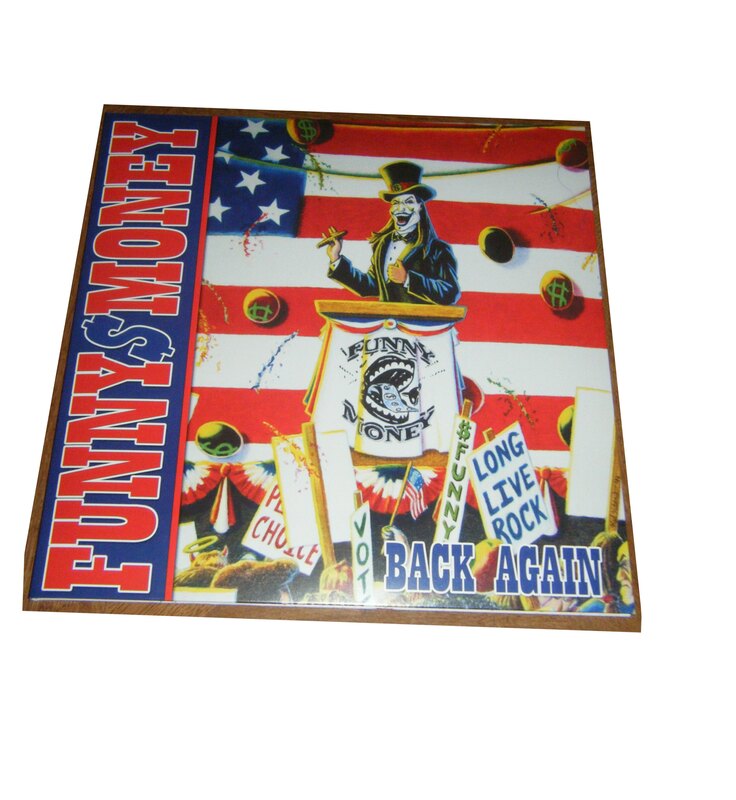 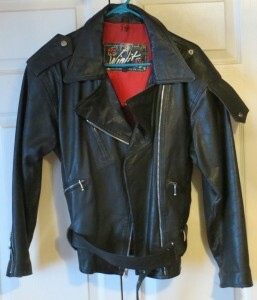 I saw this jacket sell another time on ebay so there is more than one. This jacket was also featured in a popular video game , the name of which I have forgotten. 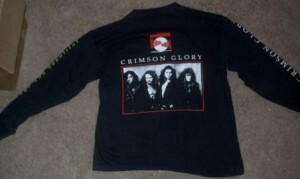 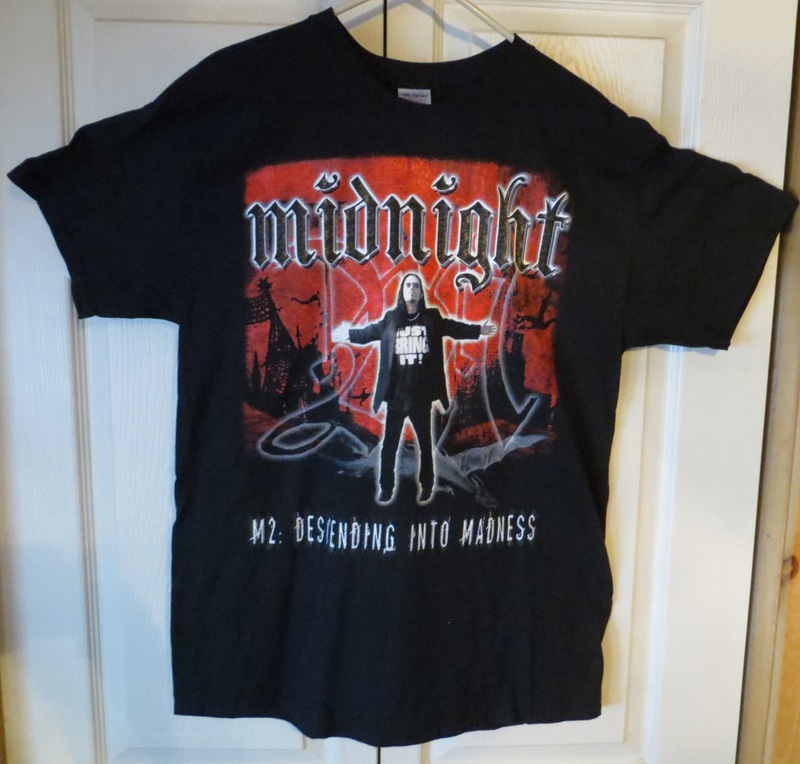 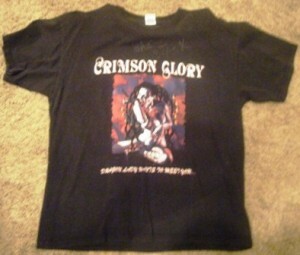 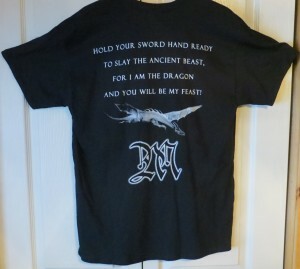 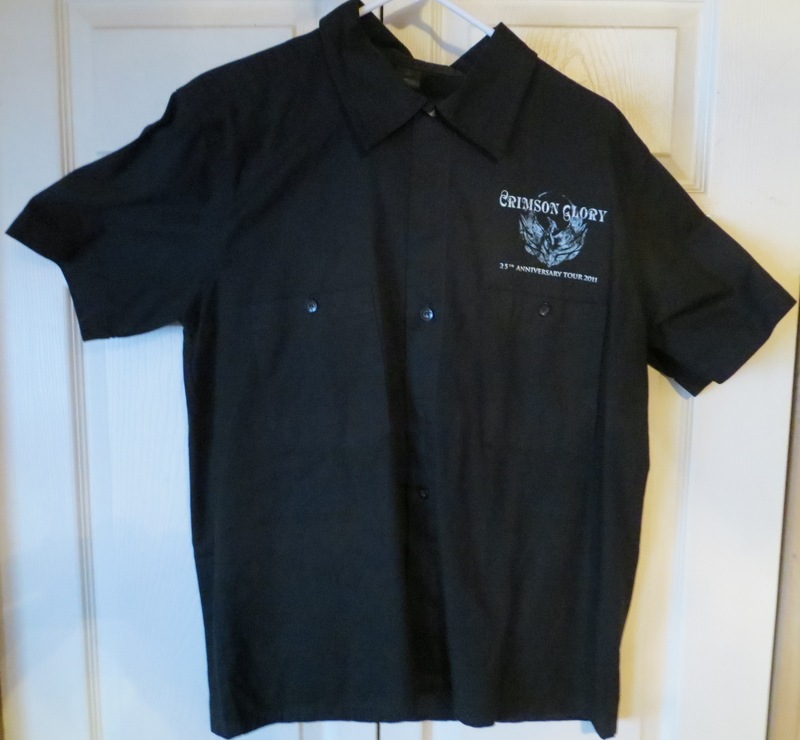 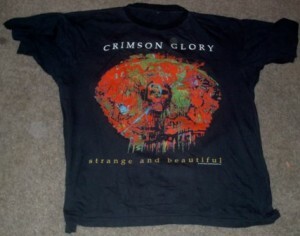 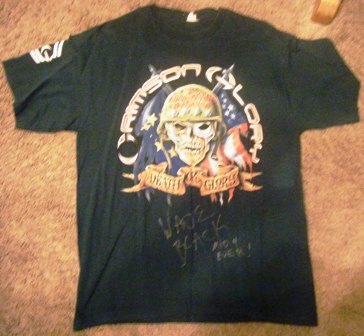 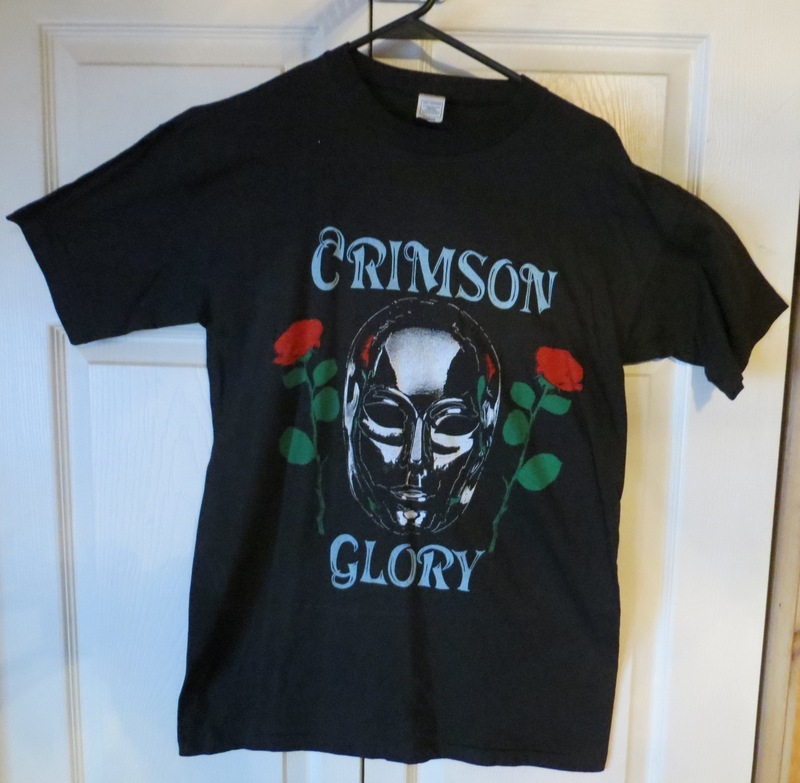 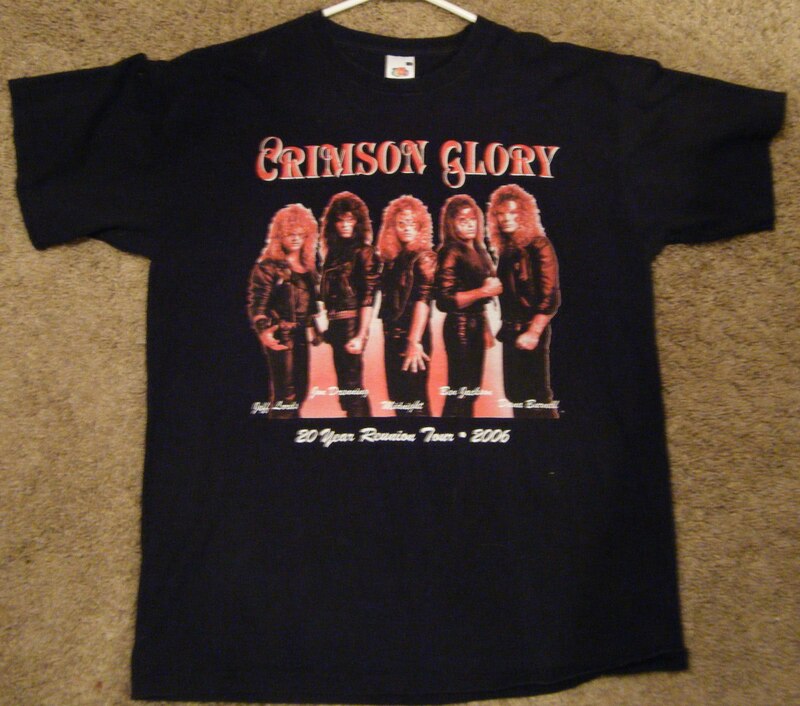 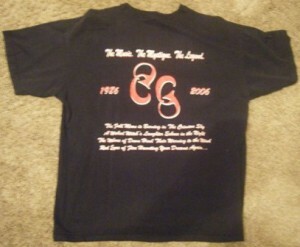 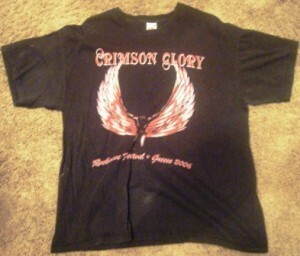 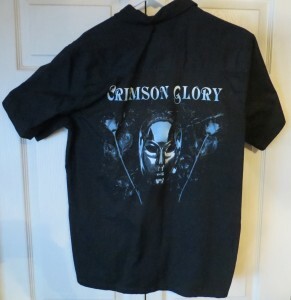 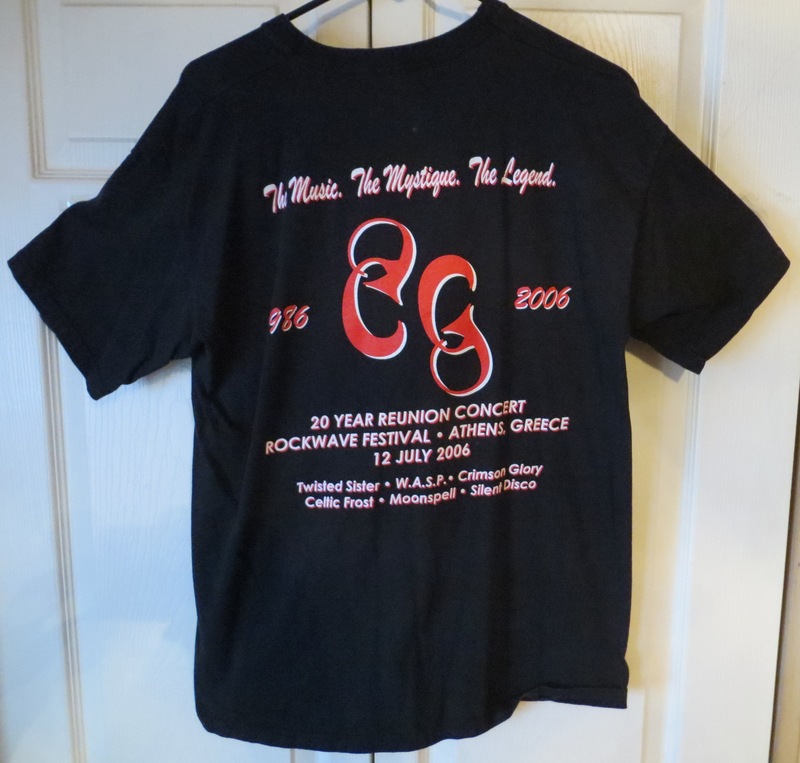 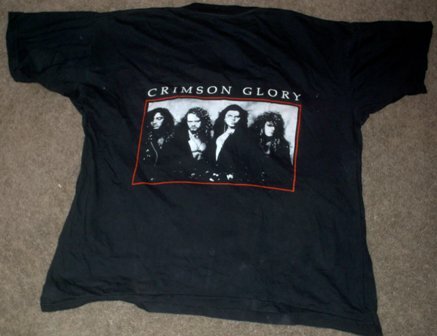 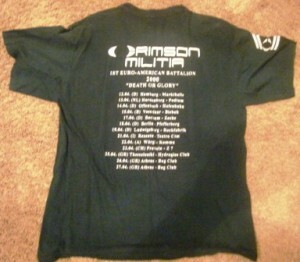 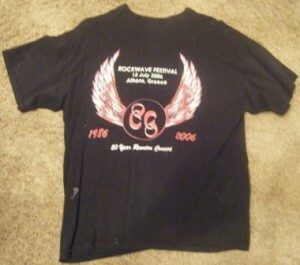 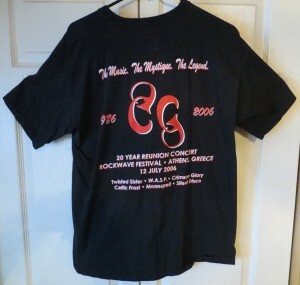 Crimson Glory Crimson Glory shirt. 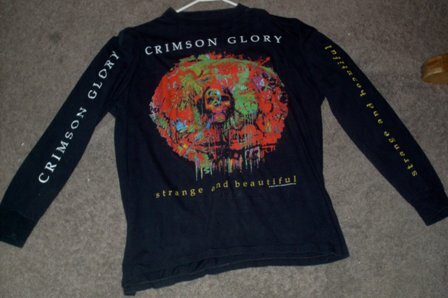 Single sided.